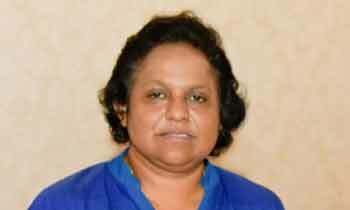 State Minister of Local Government Sriyani Wijewickrama had been admitted to the Peradeniya Teaching Hospital after her official vehicle met with an accident at Henawala early this morning, the Police said. A Spokesman for the hospital said Ms. Wijewickrama had sustained injuries on her forehead but was out of danger. Her vehicle veered off the road and crashed onto a wayside tree at the Henawala bend in Kadugannawa on the Colombo – Kandy Road. The Police said the driver and the MSD officer were not hurt, but the driver who developed a chest pain after the incident obtained OPD treatment at the Peradeniya hospital.